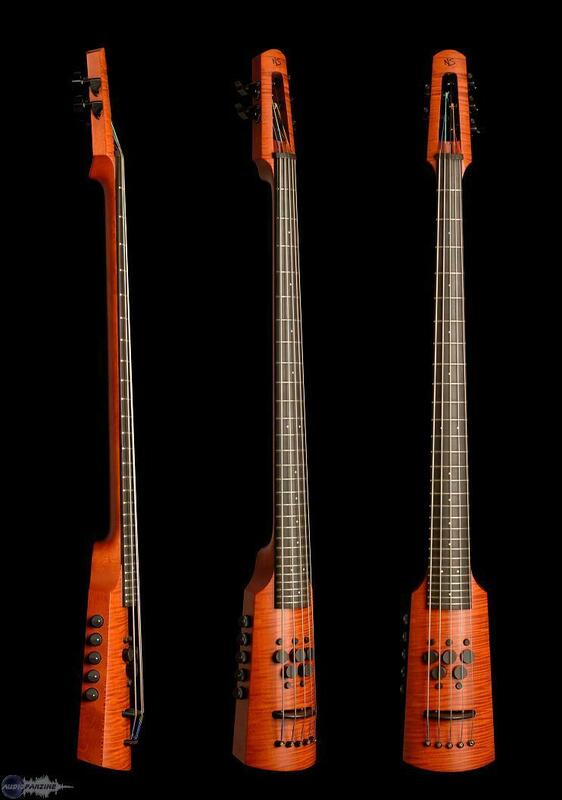 Fretted Bass Cello, Electric Cello & Double Bass from Ns Design. Electric bass players, the majority of whom are used to playing with frets, will now have access to acoustic tone and bowed sounds not possible with bass guitar. Special new tooling has been employed in the manufacture of the new high radius fingerboards with frets, the former a must for bowing. Frets not only provide accurate intonation, but also plucked chords and bowed arpeggios that are simply impossible without frets. The exclusive NS Polar™ pickup system delivers acoustic upright bass tone with unparalleled detail and dynamic range. 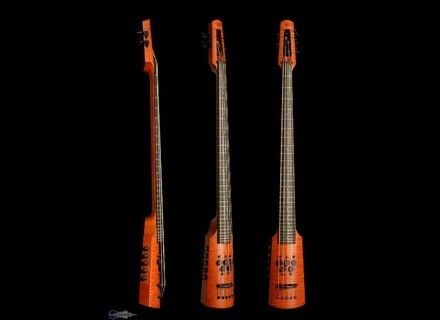 In addition, EMG magnetic pickups deliver a smooth ‘electric bass’ sound. An onboard mixer also allows players to optimise both plucked and bowed sounds, making versatility a very important feature of these new instruments. Supplied with the NS Design Boomerang shoulder strap system, this feature enables players to adjust the position of the instrument through a wide range of vertical or horizontal positions. Furthermore, NS bass end pin and tripod stands are interchangeable with the new Bass Cellos.